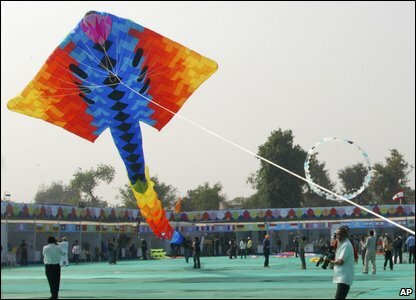 Makar Sankranti is an important ‘Thanksgiving’ festival of India. In Tamil Nadu it is celebrated as Pongal. 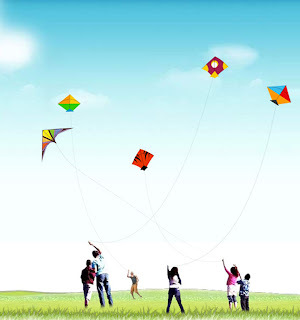 Makar Sankranti signifies a bountiful harvest and flourishing of wealth. People believe that by thanking god they are able remain happy and lead healthy life and reap success throughout the year. The day on which sun enters the zodiac sign called Capricorn (Makara Rasi or Zodiac sign) is considered as an auspicious day. The period from Makarsankrant (the passage of the sun into the zodiac sign of Capricorn) to Karkasankrant is called the Uttarayan. In Sanskrit the word ‘Sankranti’ means transition. On this day sun begins its northward movement and the Hindu almanacs call this northward transition of the sun as Uttarayana patha. The day also coincides with the commencement of the Tamil month Thai. The day usually falls on 14th January every year. 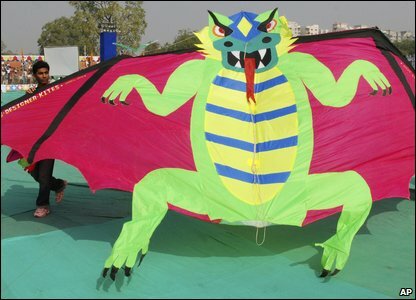 Of course this is the only festival that adapts solar (Hindu) calendar. The other festival dates are determined according to lunar calendar. It is believed that holy dip in perennial rivers like Ganga, Yamuna, and Kaveri will have huge significance. The Great Kumbh-Mela will be held once in every 12 years on this holy day at Prayag. Pongal is a three days festival in Tamil Nadu. The first day is called Bhogi Pandigai. The second day is called Great Pongal or Makara Sankranti. The third is called Maatu Pongal (thanking the livestock especially cow). Pongal is a Tamil word which signifies the festival as well as the name of the main dish prepared using the newly harvested rice, dal, jaggery and milk. The fruits and vegetables are also obtained fresh from farm. Pongal means boiling. How Preparations Made for Pongal Festival ? The month Thai is considered as an auspicious month by Tamils. It is believed that dawn of the Tamil month Thai will mitigate all miseries. People will discard all old things and replace with new things. They will clean whitewash their house. They also decorate the house with kolams (Rangoli). They will purchase new dresses, jewelry and utensils. They will also prepare sweets. The farmers will offer fresh vegetables and fruits to their near and dear. The villages in Tamil Nadu also consider this as a communal festival. The temples will also get new facelift. Womenfolk decorate the temple premises with kolam, mango and coconut leaf festoons. The married daughters will receive harvested crops, vegetables, fruits, coconuts, utensils and money from their parents. Young girls decorate themselves with henna and share with friends and relatives. Women and young girls wear new clothes, wear golden and silver ornaments, volunteer. The Sankranti or Pongal day is dedicated to Lord Sun, the savior of this world with His golden rays. In every household the pongal is cooked in the early morning at their front yard. Fresh earthen pots are fetched and decorated with kolam (drawing lines and curves with rice flour to beautify). For cooking they will use traditional wooden log flame. Fresh milk and water are allowed to boil and the froth will come out of the pot. It is believed as an auspicious sign. After this rice will be added and allowed to cook. Following this powdered jaggery and cardamom powder will be added. Now ghee will be added and the ingredients will be stirred well. At the end the dish will be decorated with ghee roasted cashew and raisin. It is customary to tie the turmeric plant at the neck of the pot. They will make a tripod using sugarcane stems (with leaves) tied at the top. The pongal pots will be placed under this tripod. They will be a small pooja and prayer. They will rejoice their festival by shouting ‘Pongal –O – Pongal’. They will feed all housemaids, farm servants, workers, dobhis, barbers and every one come to their house. Significance of Jallikatu (Tamil Bull Fight)? In South Tamil Nadu Jallikatu (Tamil Bull Fight) is a sport held on this day in prominent villages like Alanganallur and Thammampatti. This sport is considered as showing courage and valor. The raging bulls will be driven from an enclosure towards the youths. The youths are determined to tame the bull and take the prize money or gold from the neck strap of the cow. The wild animal will be frightened by the noisy music bands and will jump on the youths and try to escape from them. If the animal is disturbed or prevented, it will injure the youths. In most of the occasions people will get their stomach punctured by the sharp horns of the bulls. However the culture activists and village folks are supporting jallikatu. But animal sympathizers are against jallikatu. Year by year the issue is debated and the sports also held every year without fail. 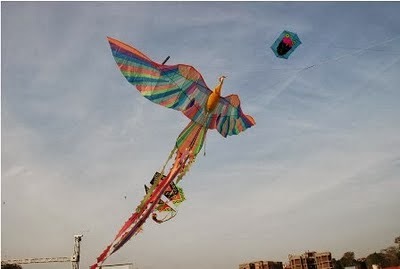 Happy Uttarayan / Makar Sankranti & Pongal to All My friends All Over the World! 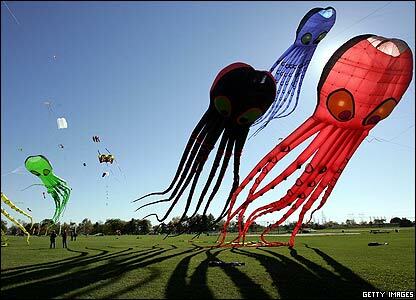 The Festival originated in Tamil Nadu and popularly known as “Tamizhar Thirunal”. The festival is celebrated for four days to provide sincere thanks and prosperity that the farmers and his work which payed us..
Bhogi is the first day of this harvest festival which is celebrated by throwing away and destroying old materials on fire thereby marking the end of the old and the emergence of the new. The second Pongal is the main day of the festival. 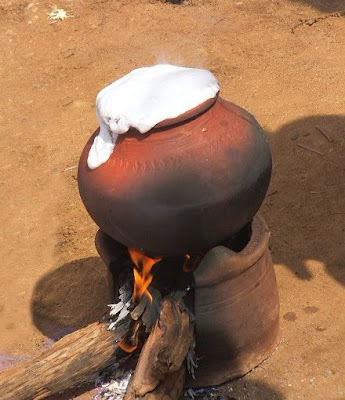 It is celebreated by boiling rice with fresh milk and jaggery in new pots that are later topped with cashew nuts and sugar and allowing it to boil over the pot in the early morning. The moment the rice boils out of the pot, the tradition is to shout “Pongaloo pongal”. Sugar cane is bought and placed in every houses to symbolise the celebration of this great festival in Tamil Nadu. The third day of the festival is known as “Maatu pongal” which is a occasion for offering thanks to cattle for their help to farmers in the field of Agriculture. On this cattle are well decorated with paint, flowers and bells and are allowed to roam. The cattle are then well fed with sweet rice and sugarcane. The final day “Kaanum pongal” is to thank the relatives and friends for their support. 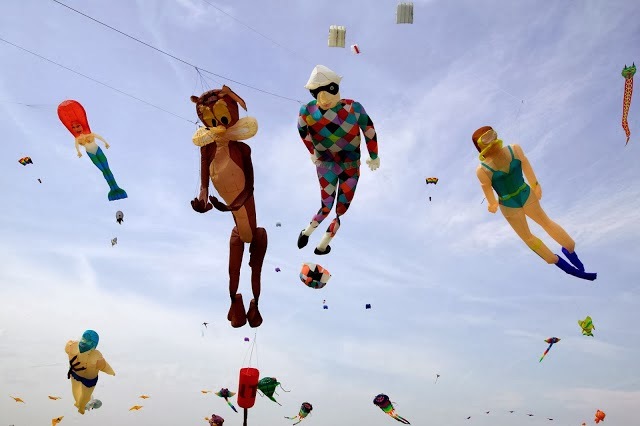 During this day people visit their friends and relatives to enjoy the pongal season.People flock together at beaches , parks and temples there by having a great day out. This four day Harvest Festival is to honor the farmers for their hard work.. May god bless them.. Wish you all a very happy and prosperous Pongal.. The second day of Pongal known as 'Surya Pongal' is dedicated to the Sun God. 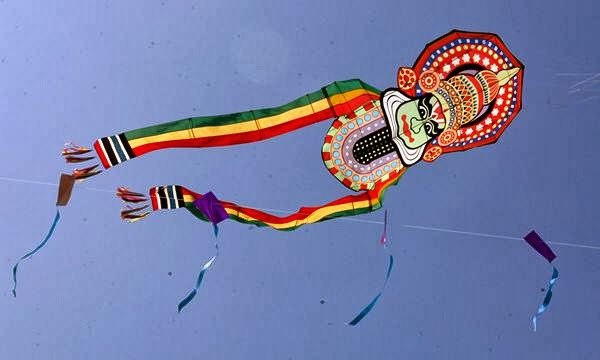 The granaries are kept full on this day and Sun God with his rays are painted on a plank as he is worshipped with the birth of the new auspicious month of Thai (Tamil month). A special dish is cooked on this day in a new mud-pot that comes in innovative shapes and have artistic designs on them called 'Pongapani'. A colorful sugarcane market is also set up on this day. The third day known as 'Mattu Pongal' is dedicated to the cattle as cowherds and shepherds pay thanks to their cows and bulls, wash them, paint their horns and cover them with shining metal caps. They are fed 'pongal' and tinkling bells are tied around their neck. Cattle races are conducted and in the game called 'Manji Virattu' groups of young men chase running bulls. Bull fights called 'Jallikattu' are also arranged at some places where young men have to take the money bags tied to the horns of ferocious bulls single-handedly and without the use of arms. 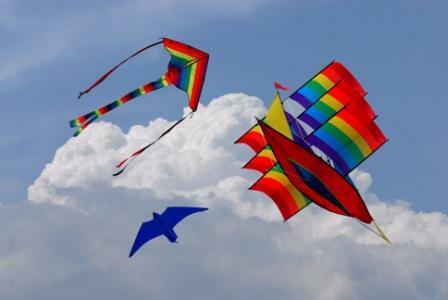 on the 14th day of january 2014, India celebrated 4 festivals and they were: Makar Sankranti, Pongal, Lohri and Eid. 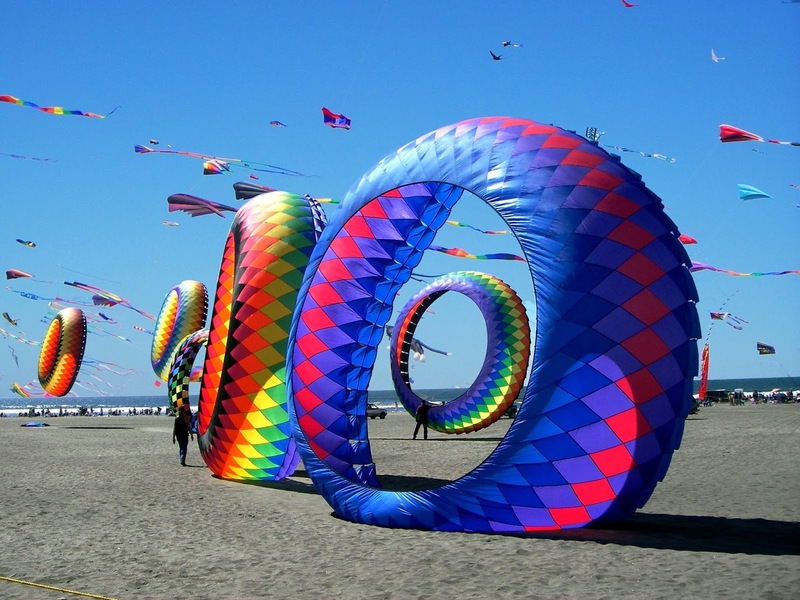 India is known for its cultures and festivals. here the number of cultures and number of festivals are same. anyways thanks for sharing this awesome pictures.